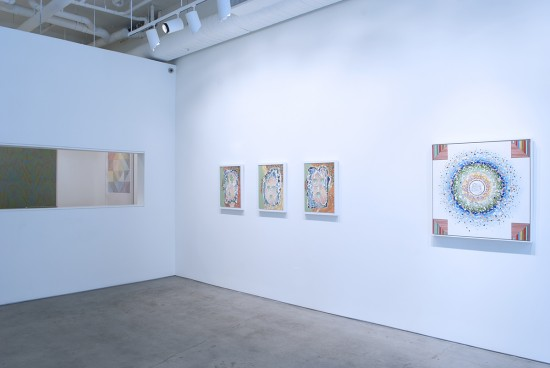 You are currently browsing the category archive for the ‘joshua Liner Gallery’ category. 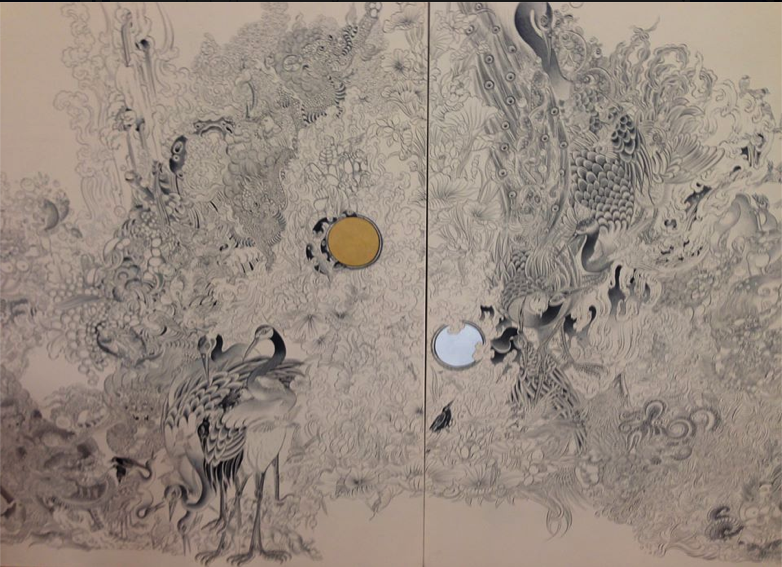 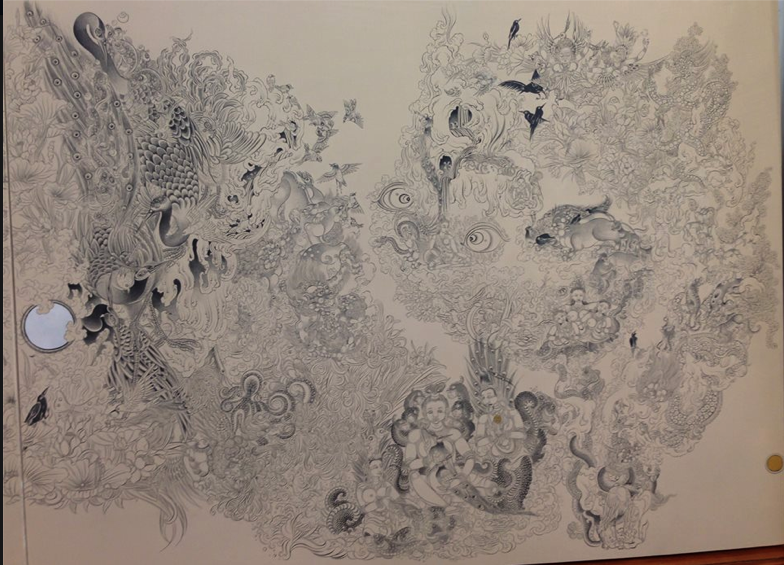 Pema Rinzin’s mural (size: 144″x74′) of the “Four Great Guardian Kings”was shown at the exhibition alongside with work in progress “Tibetan Brush Expression” at The Rubin Museum of Art from (February 9th to March 26″,2007) as part of the exhibition “Pema Show Artist-in-Residence:Pema Rinzin. 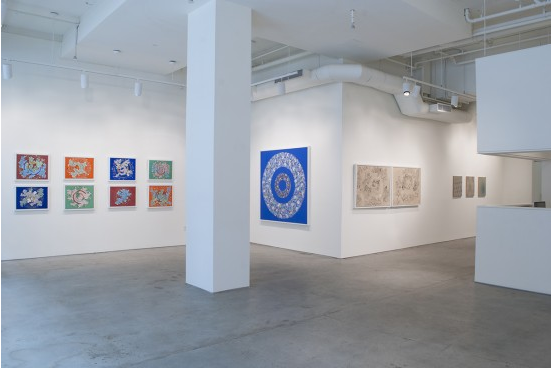 The work begun by Pema Rinzin in March of 2006 at RMA was exhibited along with the King Size pieces in RMA Collection from the 16th to 19th centuries and was accompanied by critical commentaries written by Pema Rinzin.Contemporary Tibetan Artist & Founder,Critic and Teacher at New York Tibetan art Studio. 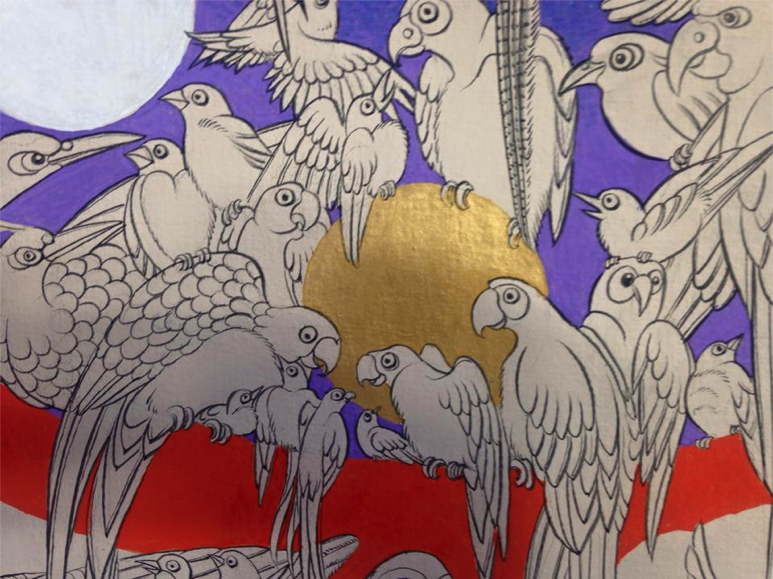 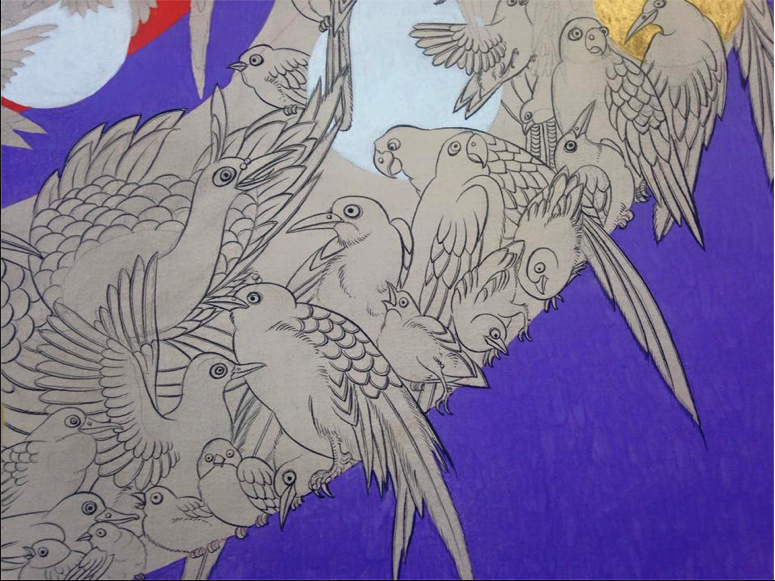 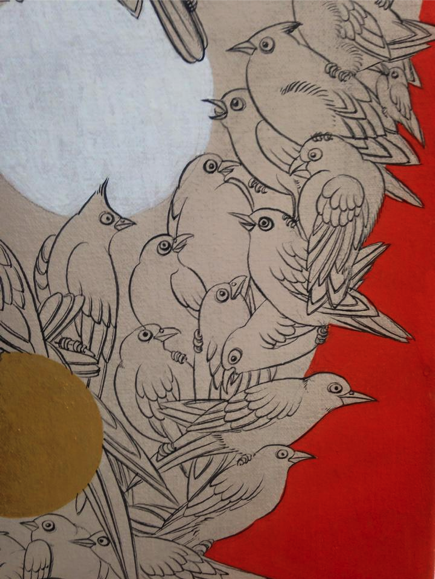 Artist Pema Rinzin’s few birds out of thousands. 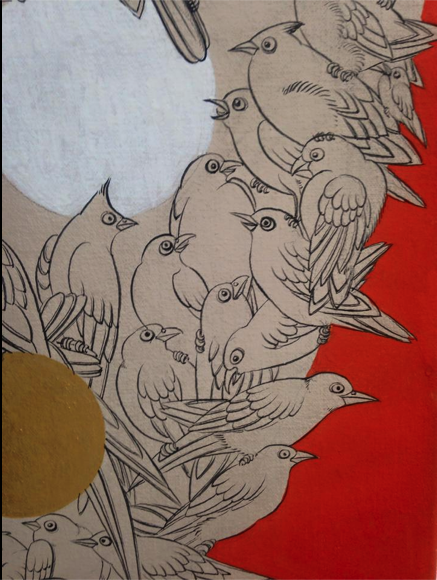 Drawing and brush work in progress. 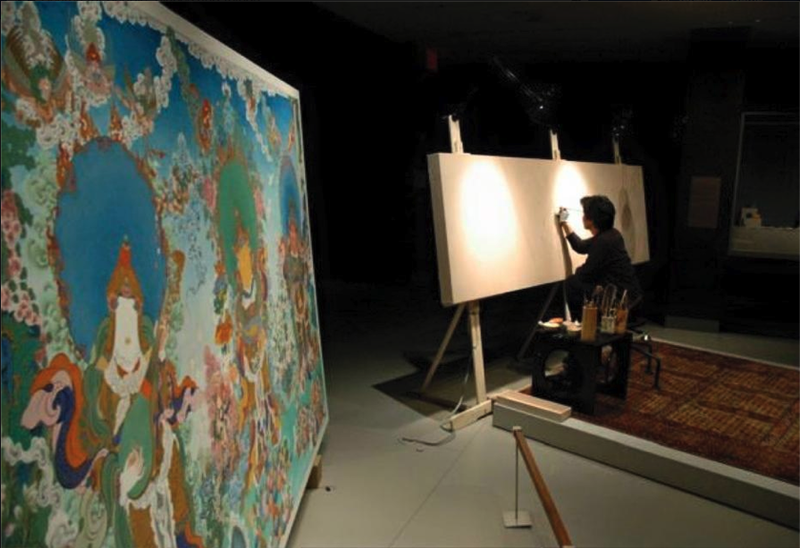 Photo Courtesy of Pema Rinzin.Contemporary Tibetan Artist & Founder ,Critic and Teacher at New York Tibetan Art Studio. 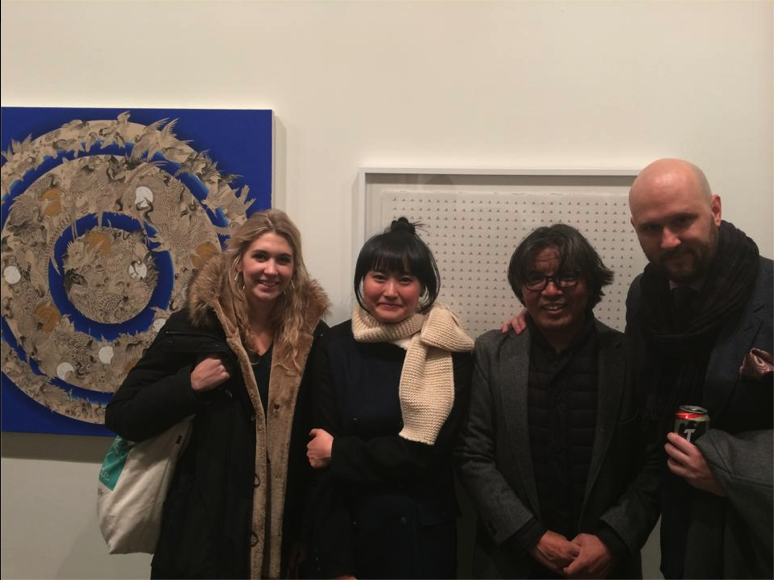 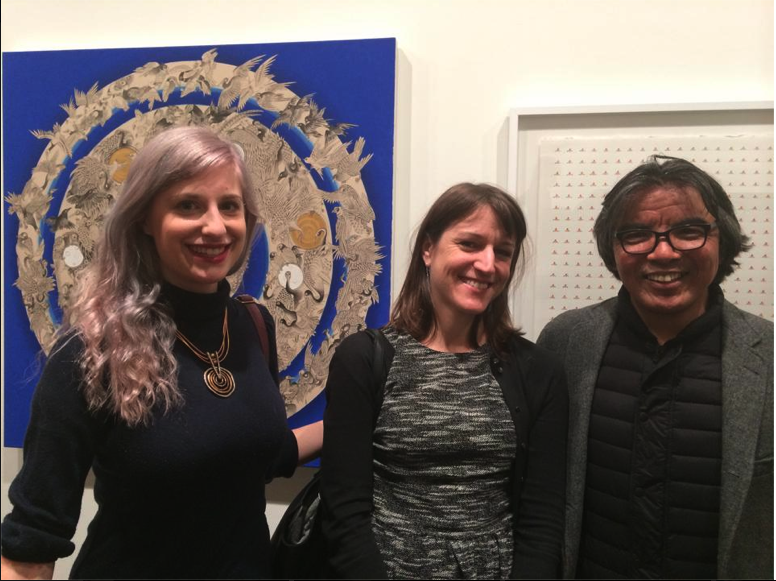 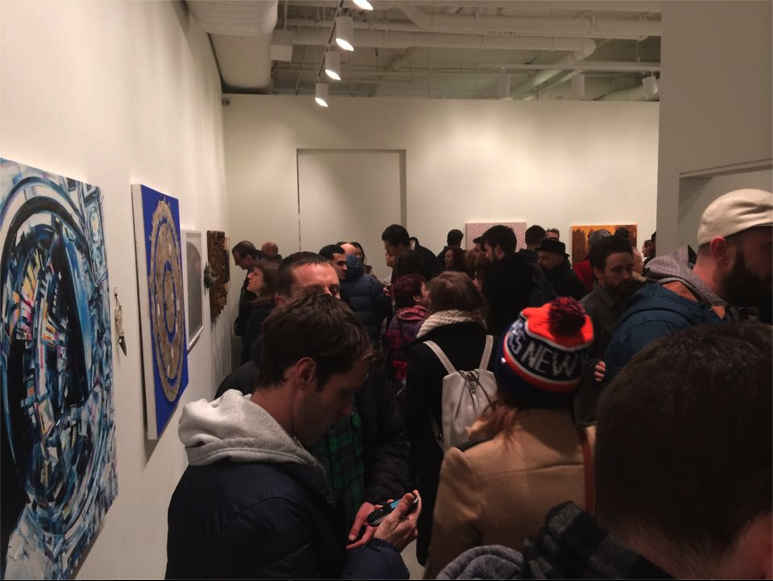 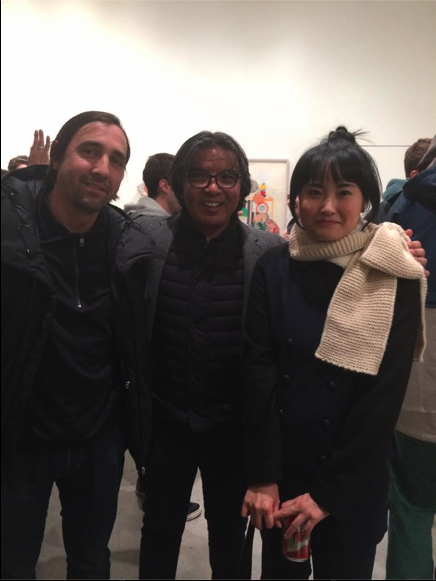 Last night was opening of group show titled,”Your Favorite Artist’s Favorite Artist” at @Joshua Liner Gallery and My friend Artist Doze Green’s solo show opening titled,”Out of knowledge” at Jonathan Levine Gallery, both in Chelsea, New York. 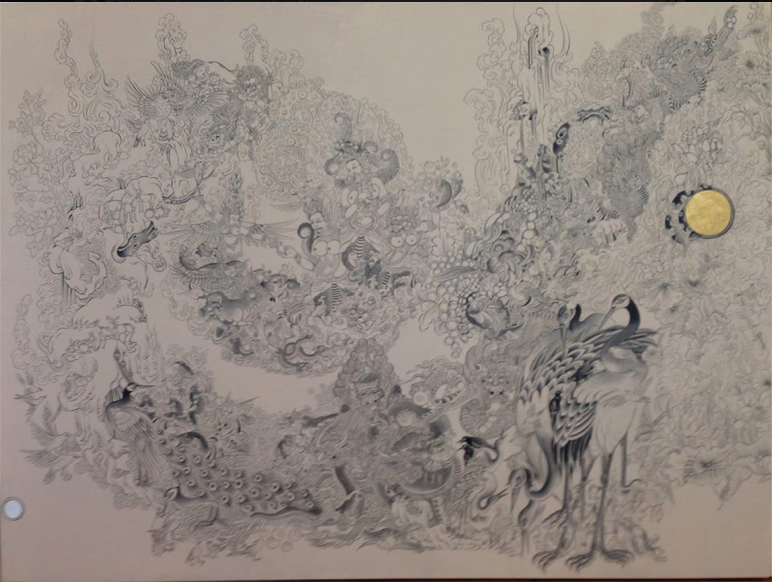 This most recent work of Contemporary Tibetan Artist Pema Rinzin will be featured in a group exhibition titled,” Your Favorite Artist’s Favorite Artist Group Exhibition from Nov 20- Dec 20, 2014. 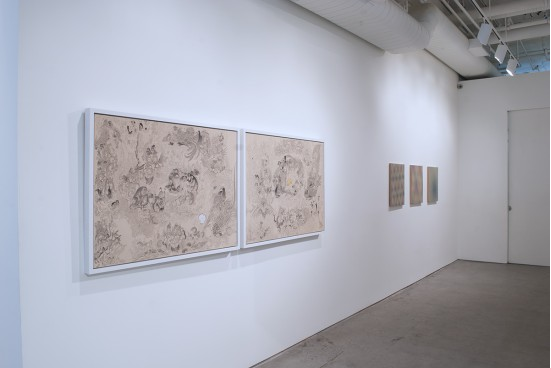 500 years old Sumi Ink, Pure gold powder, Stone pigment on wood. 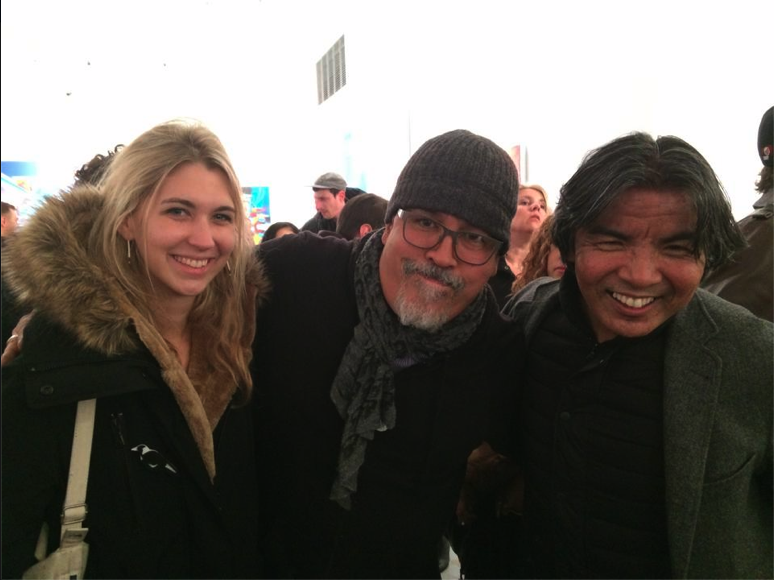 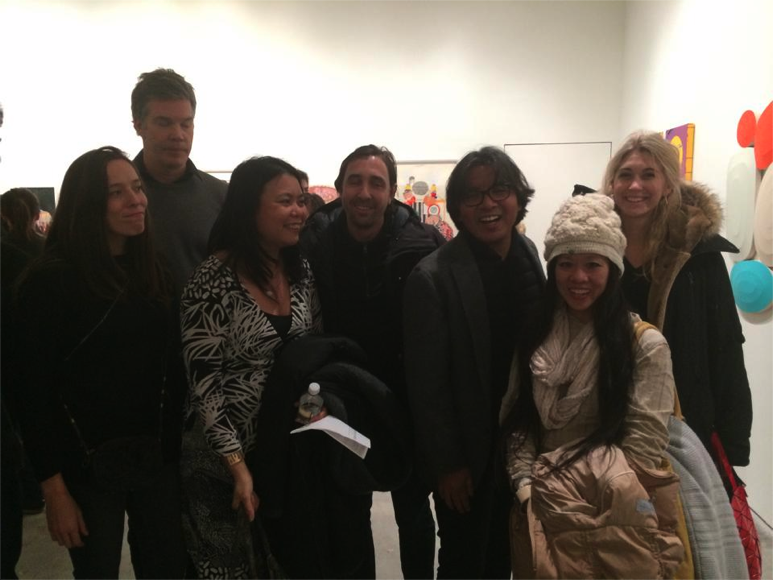 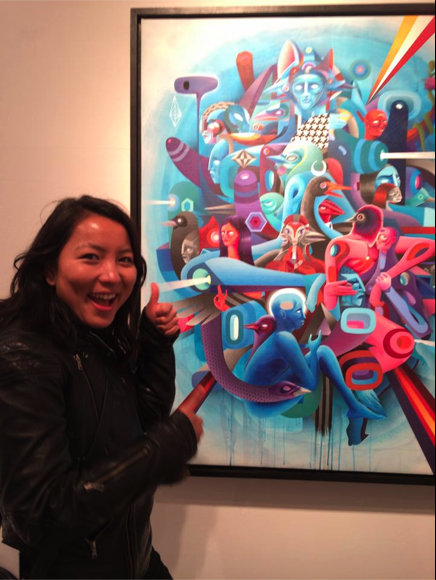 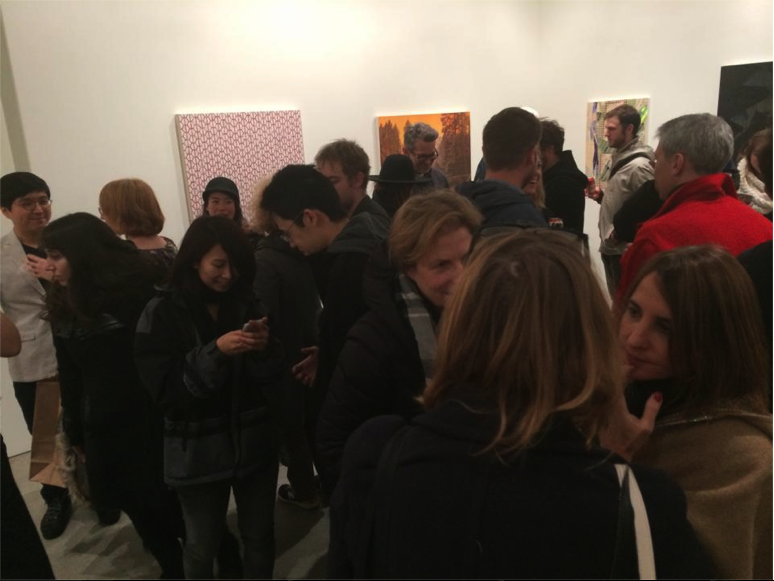 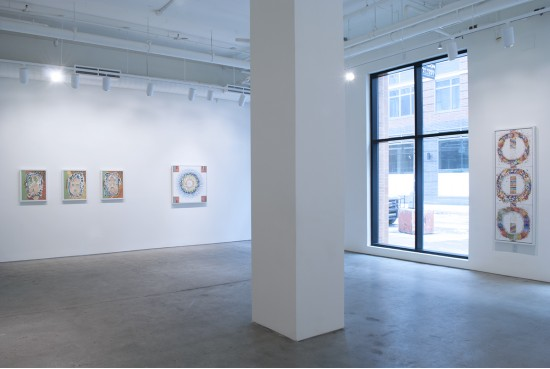 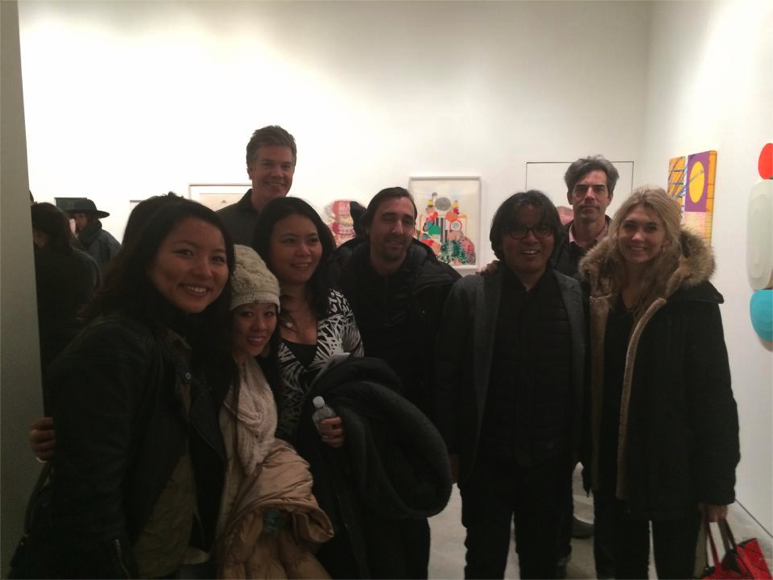 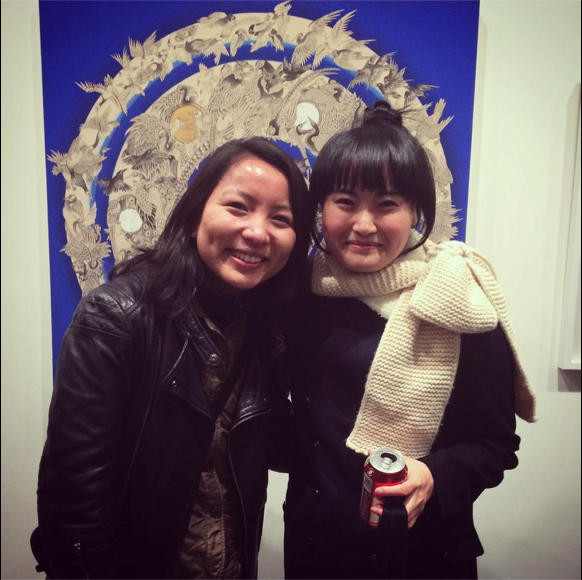 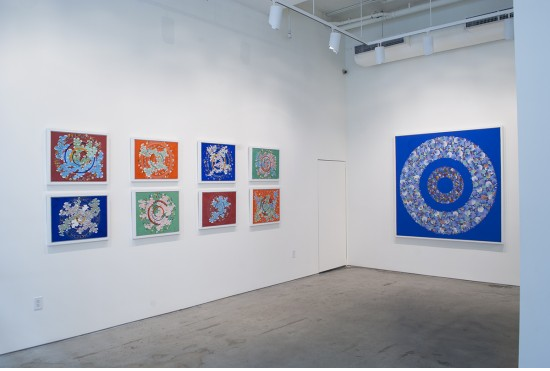 Contemporary Tibetan Artist Pema Rinzin’s Second Solo show exhibition 2014 at Joshua Liner Gallery, Chelsea, New York. 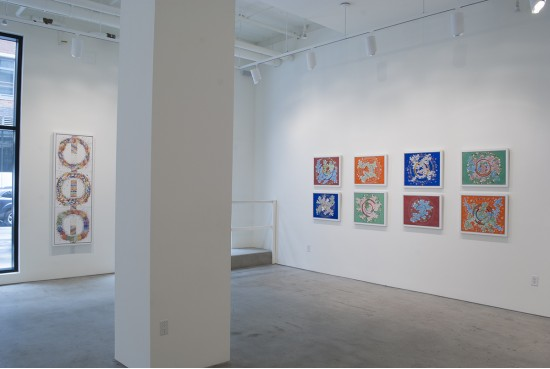 Installation Views- “Abstract Enlightenment” Second solo show of Contemporary Tibetan Artist Pema Rinzin. 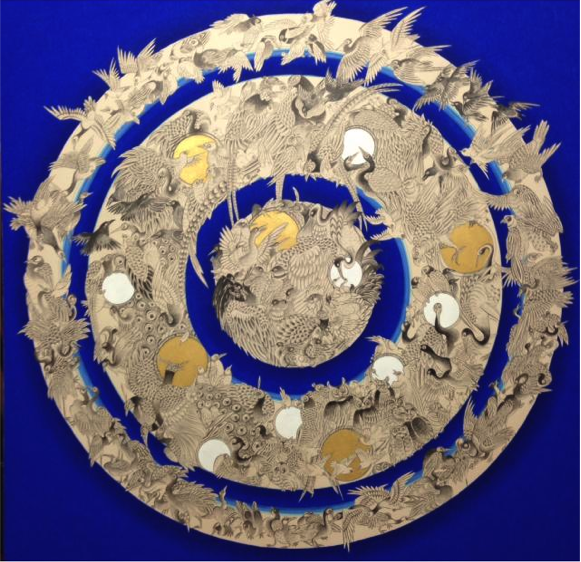 Click here for more information on Artist Pema Rinzin and his work.